1 What is a Smart Doorbell? 5 Why we need to buy a smart doorbell? If all people were trustworthy, there wouldn’t be a need for home security systems. But the statistics show us that a huge percentage of crimes committed around the country are crimes of burglary. But there was also a remarkable drop in cases of burglary due to the improvement in home security systems, specifically, after the introductions of smart security systems that include smart doorbells. A smart doorbell is an internet-capable doorbell with accompanying apps that enable you to receive notifications on your smartphone when someone rings your doorbell or even approaches your door. The highly-specialized features allow you to have a variety of responses in case someone rings or gets near your door, even if you are away from your home. A smart doorbell can include many advanced features with cutting-edge technology. First, they should have a two-way audio system that allows you to speak and listen to the person outside your door. They should also have a HD camera that readily pans the premises around your doorway. They should be equipped with a motion-sensing mechanism that readily senses if someone is near your door. It will also need built-in Wi-Fi that facilitates its integration with your home security system and your smartphone. The following are some salient features of smart doorbells. A smart doorbell might appear similar to traditional doorbells but are distinctly different because of their internet-capability, meaning they are not just Wi-Fi ready, but have built-in Wi-Fi. They can readily communicate with other smart devices, including smartphones via the internet. This allows its HD camera to stream live video to your phone. This feature also lets you control and connect to it anywhere, anytime using your smartphone. The smart doorbell mechanism includes an HD camera. The cameras allow homeowners to take photos and record videos of events and people outside your door. They also offer 120 to 180 degrees field of view (FOV). Moreover, the resolutions of most cameras of smart doorbells range from 1,280x960p to 1920x1080p. The cameras also have night-vision capability to enable you to see what’s going on outside your door even in the dark. This feature is intricately related to the Wi-Fi-capability feature of smart doorbells. You can readily control smart doorbells even if you are away from home,you can also configure them to work hand in hand with smart locks, allowing you to open the door lock using your smartphone,you can also schedule the turning on and off of smart doorbells from afar. This feature allows you to speak to the person outside your door and vice versa. The best smart doorbells also include a noise-cancellation feature so that you can hear and communicate clearly via the doorbell’s microphone and speaker. Smart doorbells include sensors that are highly sensitive to motion. In fact, some brands have already incorporated object and facial-recognition technology. The doorbell sensor usually knows when it sees a human face, and the app prompts you to tell whether you recognize the face or not. This motion-sensing feature also alerts you if a visitor doesn’t press the doorbell. Moreover, this feature also functions in conjunction with your HD camera. A smart doorbell should have the ability to store footage on the company’s cloud server. Cloud storage enables the device to keep a continuous recording of videos for a fee. The fees usually range from $3 to $5 per month. A cloud-backed smart doorbell system also enables you to download videos anytime you want to review them. The installation of most smart doorbells is quite easy. You’ll connect it to the wires used for your old doorbell. Then, simply download the doorbell app for iOS or Android. Then, a prompt allows you to follow the step-by-step procedures on how to install it. You can also have it installed by a professional installer. This feature enables the doorbell to withstand the onslaught of inclement weather. Since the device is an exterior fixture and faces a range of daily weather conditions and temperatures common in your area, it needs to be able to withstand long-term exposure. Smart doorbell technology is continuously evolving, and at present, there are various brands and products available for consumers to choose from. Here are four of the most popular products on the market today. The Nest Hello is similar in most respects to other commercially available video doorbells. It is a narrow, oblong-shaped device that can fit easily on any standard door frame. 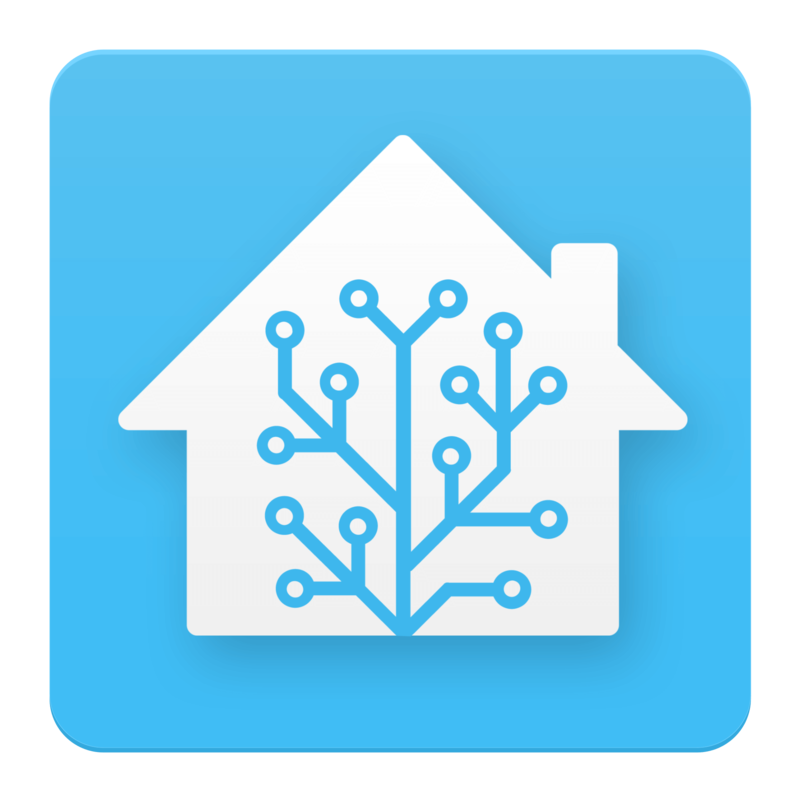 Like most video doorbells, you can easily install this device and Nest provides a comprehensive installation guide via the Nest app for Android or iOS smart devices. With Nest Hello, you’ll be able to see everything outside your door using your smartphone. Hello’s camera provides a 160° FOV with monochrome night-vision. Despite being grayscale, its video contrast is sharp. Although Nest Hello continuously records what it “sees” to a cloud platform, it also has a motion sensor or a “buzz” that sends out an alert to your smartphone when someone is at your doorstep. Nest Hello is another reasonably-priced, easy-to-install smart device that can act as a doorbell as well as a surveillance camera.You can integrate it with other Nest and Google products. It is safe to use even for children because its shape is well-rounded and smooth. Its camera offers 1600x1200p HD video resolution that can be adjusted down whenever Wi-Fi connectivity is weak. It also has a facial-recognition feature. When paired with Nest Aware subscription service, Nest Hello provides you with 24/7 video footage for 5-30 days depending on your subscription plan. Like other video doorbell brands, it operates in a wide range of temperatures: 14 to 104℉ (-10 to +40℃). Its major drawback is the incremental cost of the Nest Aware subscription. Without the subscription, you can never take full advantage of the product’s most advanced features and continuous recording capability. The Ring video doorbells refer to three doorbell products that have evolved throughout the years. The camera resolution, for example, evolved from 720p HD to 1080p HD. The motion detection sensor has also improved from a basic motion detector to an advanced recognition sensor. The two earlier models are hardwired or powered by rechargeable batteries, although the second model has a quick-release battery type. Like most video doorbell brands, the Ring video doorbells use a cloud platform for storage of video files. Additionally, Ring video products use the same iOS/Android mobile app. The main limitations of the Ring video doorbells are their rechargeable battery life, which was short-lived.Thankfully, they discarded the batteries in the latest Ring doorbell model. Another weakness that Ring video doorbells share with other brands is the delay in data transfer from the doorbell unit to your smartphone, and vice versa. However, we generally attribute this weakness to Wi-Fi speed. The Vivint doorbell camera system is unique because aside from being compatible with iOS and Android, it is also compatible with Windows. Moreover, it can be accessed with a dedicated keypad, thus, limiting your reliance on a smartphone. Vivint also offers a lifetime warranty for its video doorbell. The features of the Vivint doorbell, including its FOV, resolution, night-vision, and motion sensor are very similar to those of other brands. Unlike other products that DIYers can install easily, Vivint requires professional installation for integrating with a Vivint security system and for facilitating an integrable unit for future development. The professional installation fee adds to the initial cost. You should also expect the additional cost of the monthly monitoring fee for the whole Vivint system. These incremental costs serve as a lingering disadvantage when opting for Vivint products. The SkyBell HD Wi-Fi video doorbell combines the functions of a doorbell, intercom, burglar alarm, and security camera into one small contraption. This little video doorbell includes an omnidirectional microphone and speakers that allow you to listen and talk to people at your doorstep from your smartphone. It also provides the necessary apps for Android and iOS users. Its camera provides up to 130 degrees field of view (FOV) along with full-color night-vision that allows you to see what is happening outside your door even in the dead of night. A motion sensor is another added-security feature that triggers the camera even before the doorbell is activated and it readily sends notifications to your phone. The HD camera also allows you to take photos and record a video of a person or event. The SkyBell HD Wi-Fi video doorbell is an easy-to-install and easy-to-use device. Its compact circular design makes it very safe to touch even for toddlers. The SkyBell HD comes with a user’s guide and a drill bit for installation. The website provides tutorials on how to install it on your own. The SkyBell HD is dependent on Wi-Fi when streaming audio and video. It has four HD settings: 480p, 720p (good), 720p (better), and 1080p. It also comes with free cloud video storage. This device is also linkable to existing doorbell chimes using a digital doorbell adapter accessory. You can also link it with most of your other smart devices as it readily communicates with Alexa, IFTTT, and Nest products. SkyBell designed their HD video doorbell to operate outdoors in all kinds of weather with temperatures ranging from -40℉ to +140℉ (-40℃ to +60℃). The downside of the SkyBell HD operation is on its initial launching of live video apps for Android, which takes longer than expected, and it is there is a 2-3 second voice delay. Another SkyBell HD disadvantage is that it has no back-up power supply in case of power outages. You also cannot use the door chimes from an existing wireless intercom. Why we need to buy a smart doorbell? A smart doorbell is a worthwhile investment to keep you and your family safe.With a smart doorbell, no one will ever know whether your home or not again. You can make it appear as though you’re at home by answering your door from virtually anywhere. Whether you’re upstairs, at the office, or away on vacation, you’ll have peace of mind knowing that you can keep an eye on things at home. if you are interesting with more home security improvement you can check our smart security cam article.